← One Sure Palate Pleaser. Or Two. At 50: Better Than Ever! Of the numerous classic American and world icons rounding the half-century mark this year— Jeopardy!, The British Invasion, 8-Tracks– one biggie stands quite worthy of its own mention: The Ford Mustang has been with us for 50 years, exactly– this week in fact. 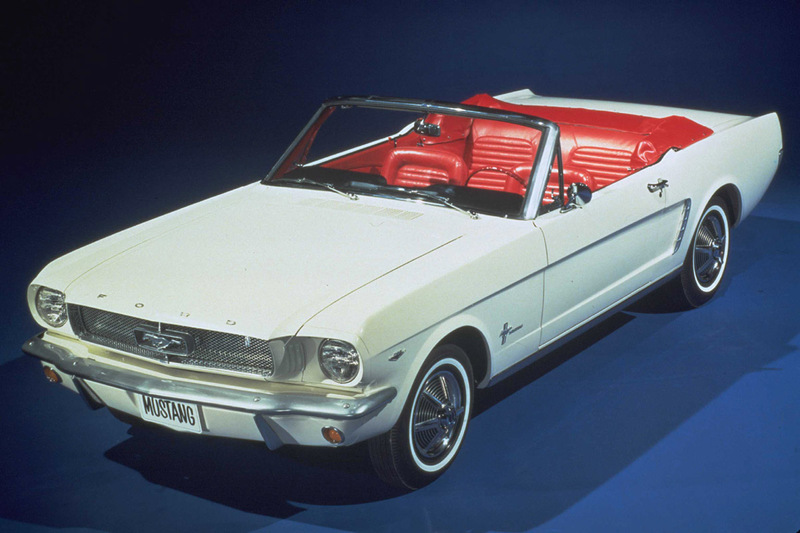 The legendary muscle coupe of decade-varying proportions debuted in New York on April 17, 1964. 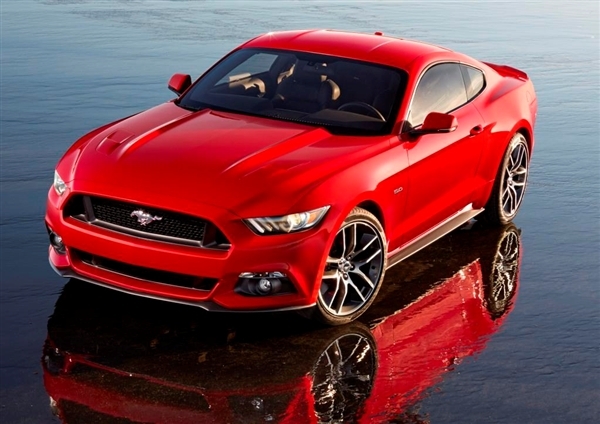 And now, expectedly enough, a new generation is on the way to commemorate Mustang’s anniversary model year. What looked great 50 years ago– and maintains its good looks today following a few awkward “growth periods” shall we say (watch just about any original episode of “Charlie’s Angels”)– is clearly poised to emerge yet again looking better than ever! At last, I feel young.